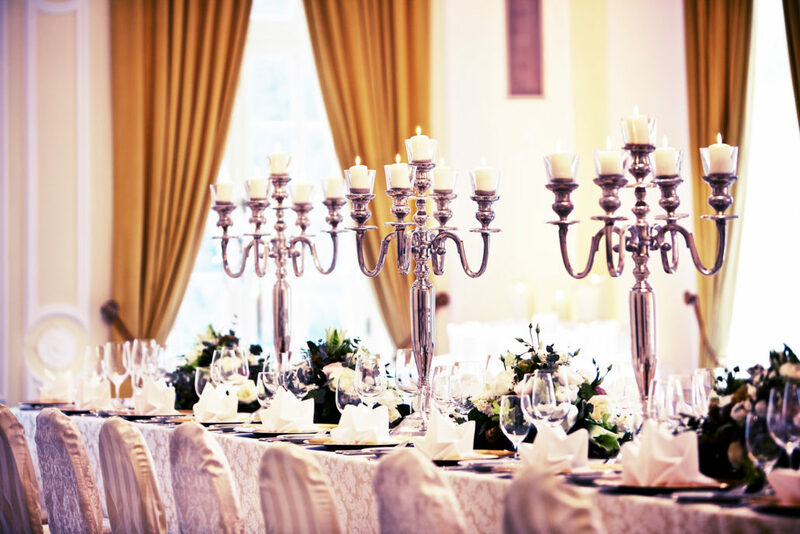 The elegant salon on the ground floor adjoins the Beethoven Ballroom and is ideally suited for conferences, festive galas, weddings and dinners. 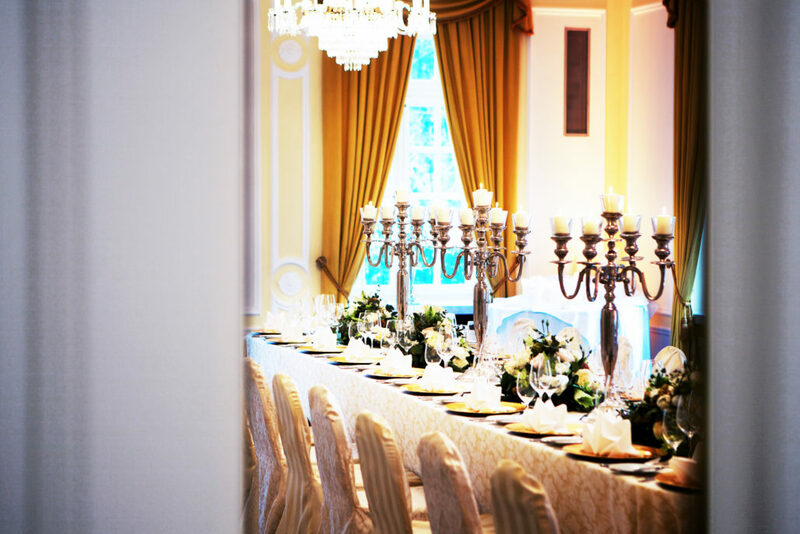 When you celebrate in the Beethoven Ballroom, the Yellow Salon is the ideal space to set up a buffet or a bar for winding down at the end of the evening. 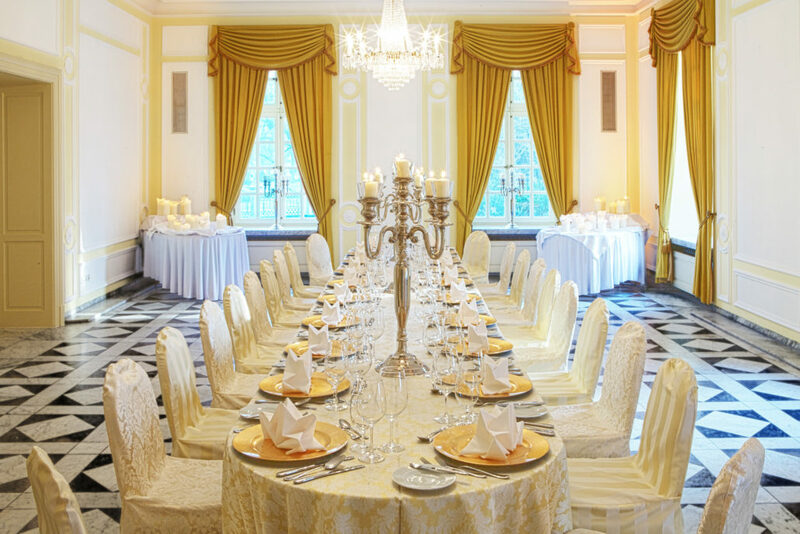 Whether used on its own or in combination with the Beethoven Ballroom, the Yellow Salon is very versatile. Are you planning a special celebration, conference or meeting? We would be happy to check our availability and send you a non-binding offer. Just use our contact form and briefly describe how we can help you.